Wolves will be gone from the wild. and you can leave more than one. AFTER THAT, IT IS TOO LATE TO BE HEARD. Never mind the science that show that wolves are essential to a healthy landscape. Never mind the proof that wolves have improved the ecology of Yellowstone. Never mind the research that shows that wolves have a positive impact on their prey species while human trophy hunting is what damages them and drives them to extinction. Never mind the fact that wolves were here before us and we are in THEIR territory. Never mind the truth that cattle ranching is an ecologically and financially unsustainable business that lives on the back of the taxpayer and the government while destroying entire ecosystems. Never mind the statistics that show that wolves are responsible for less than 1% of livestock mortality while neglect, injury and disease are responsible for 75%. Never mind the evidence that in Oregon where non lethal controls have been employed wolf-related livestock mortality plummeted while hunting in Idaho caused it to increase even after killing nearly have the state’s wolves… It’s just convenient and easy to blame the wolf. Leave a comment for the Gray Wolves. Based on the evidence, we believe wolves need continued protection to expand into much of their historic range before they are removed from the Endangered Species List. If you agree, visit our website (above) to find out how you can contribute to the national dialog by submitting a quick/easy public comment. Then, let’s ‘educate, advocate, and participate’ by sharing and urging our family and friends to do the same…thank you! My brother, Mexican wolf M806, was the alpha-male of the Bluestem pack. He thrived in the wild for 6 yrs before he was illegally shot & killed. Today, only 75 Mexican wolves live in the wild & the USFWS designates them as an “experimental, nonessential” population. This designation means that their recovery is trumped by the wishes of industry &/or recreation. 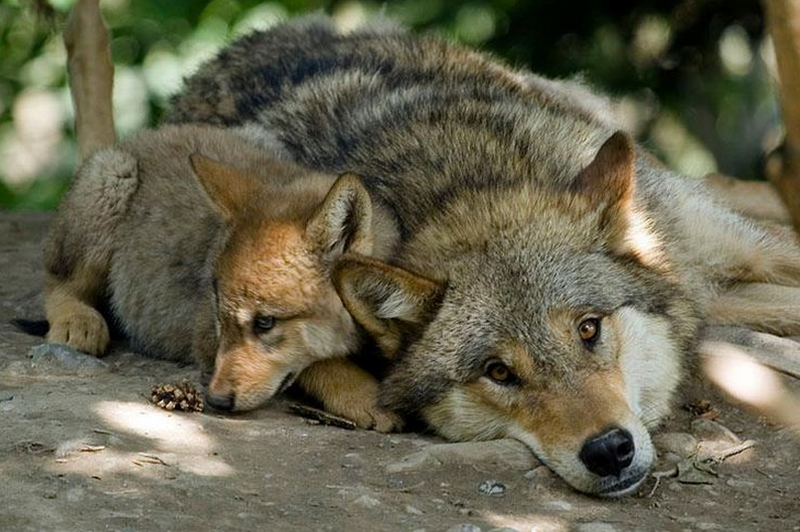 Take Action: Comments Needed to Ensure Mexican Wolves’ Future! Recently the U.S. 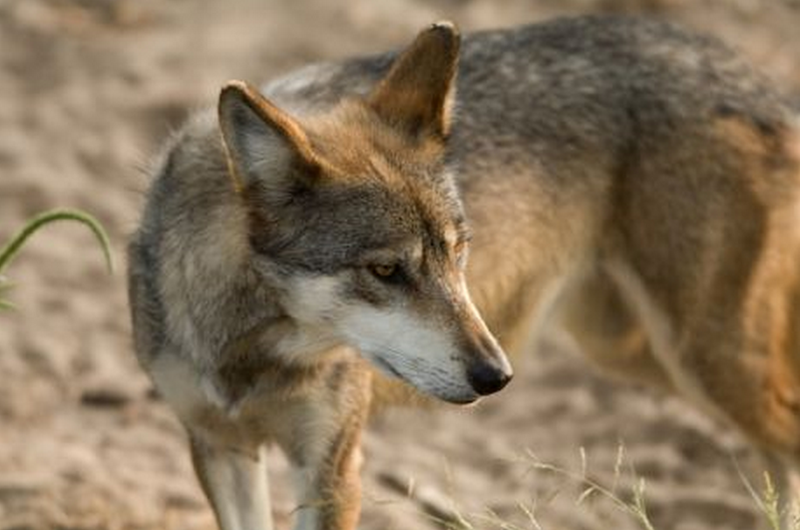 Fish and Wildlife Service (USFWS) proposed changes to the rules guiding the Mexican gray wolf reintroduction. TELL USFWS TO PUT THE REST OF THEIR PROPOSED RULE ON HOLD AND SPEED UP APPROVAL FOR MORE DIRECT RELEASES INTO ADDITIONAL AREAS. The USFWS claims that even if all of the 75 wolves in the wild are wiped out this is not “likely to appreciably reduce the likelihood” of recovery of Mexican wolves in the wild. When the current rule declared wolves in the wild “nonessential” there were only 11 wolves, recently released from a captive breeding program and they made up only 7% of all Mexican wolves in the world. Now the 75 wolves in the wild have up to four generations of experience in establishing packs and raising pups and are over 22% of all of the Mexican wolves in the world. After four more generations of captive breeding with few releases (only one in the last five years), scientists warn that there may be serious genetic problems making captive wolves less able to thrive in the wild. When USFWS published the current rule in 1998 they said they expected to put out a new recovery plan for the public to comment on later that year; 15 years later, there still is no scientific or legally adequate recovery plan! USFWS’s decision on the proposed rule can help Mexican wolves finally thrive or can push them closer to extinction. Please submit your comments here and ask others who care about Mexican wolves to do the same. Shark week has come and gone, and as a marine scientist I feel most at home with these top predators, but it is another, equally charismatic predator species that is in the news. You can guess that because I said “charismatic” I wasn’t referring to Congress. The possibility that the federal government would remove conservation measures for gray wolves and decide that they are no longer at risk of extinction is in the news not because of some new finding that wolf populations are recovering, but because of apparent political interference in the process of reviewing the science that is the basis for that determination. The U.S. Fish and Wildlife Service (FWS) in the Department of Interior is responsible for administering the Endangered Species Act (ESA) for most of the flora and fauna of the U.S. For marine species, the National Marine Fisheries Service (NMFS) in the Department of Commerce has the responsibility. I used to work as a scientist, and then as a lead regulator for the NMFS and have first-hand experience with implementing the ESA. In a very real sense, the ESA is the protection of last resort for species of unique plants and animals that are determined to be in danger of extinction, in other words, lost forever from our natural heritage. ESA protections that should only come into play when all other conservation and management measures have not been successful at protecting that natural heritage. Endangered species are often controversial, as you might expect. In every case that I am aware of, endangerment is due to the actions and activities of people. So removing threats to the continued existence of a species means that someone, somewhere will have to change their behavior. While we might like to think we manage species and natural ecosystems, in reality we manage people and their impacts upon nature. For the marine species I worked with, from salmon to sturgeon to turtles, sea lions, seals, and whales there was incredible controversy on all sides, with some who wanted more protection and others who wanted less or none at all. A species is “listed” as threatened or endangered under the ESA when a scientific review has determined its continued existence is in jeopardy. The law clearly lays out that science should determine the conservation status of the species — not economic considerations or political positions. These other factors can be taken into account when regulators develop a plan to protect the species. If we are to protected biodiversity, that is how it should be, a decision based on science, not politics. This is why UCS continues to work with biologists and other scientists with relevant expertise to explain to Congress and the media that for the Endangered Species Act to be most effective, it must be grounded in the best available science. 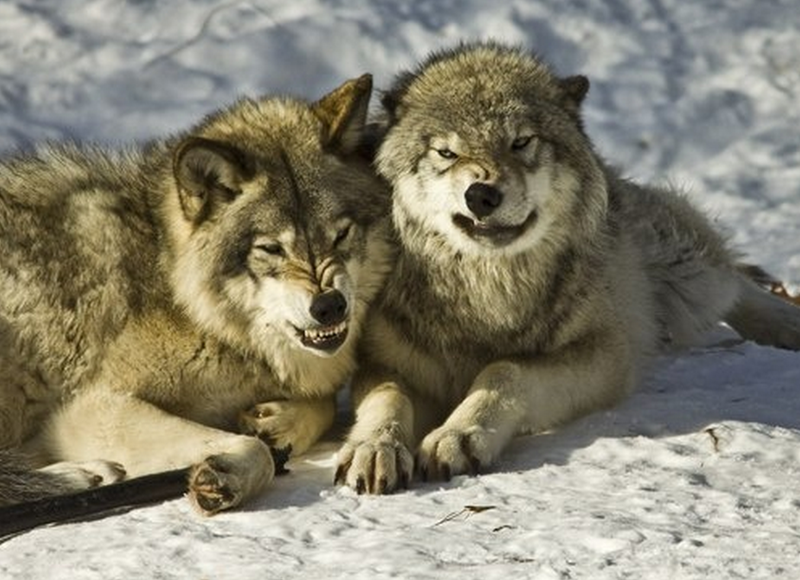 But unfortunately, wolves are proving to be an exception. SO WHAT IS HAPPENING WITH THE WOLVES ? Wolves are among the most controversial of endangered species, and are being considered for de-listing, that is, a conclusion that they are no longer threatened or in danger of extinction and ESA protections are no longer needed. Not only does the law require a full, objective scientific assessment, in such a controversial setting, common sense demands it. That means the FWS should follow the best process of developing scientific advice. Do the analysis, present the data and conclusions, have it independently peer reviewed by experts in the field. Ensure that all conflicts of interest are disclosed. Make the information public as far as possible while respecting any privacy concerns. And when determining what action to take, be clear about its reasoning, without trying to manipulate the facts to support a pre-conceived position. While these basic steps in developing the scientific advice were underway, the agency intervened in the process of selecting peer reviewers, excluding some that had already been critical of the scientific basis of the proposed rule on wolves. A significant number of leading experts in the field joined this group to criticize the agency in an open letter. Excluding critics from a peer review when they are highly qualified and respected in the field, and when they raise serious methodological and scientific issues, undermines the very purpose of a peer review. The whole point is to make sure that key methodological, theoretical or empirical errors are caught and addressed so that the agency acts on the best science available. Furthermore, and critical in this case, if the policy-makers manipulate the review process to try to influence the result, the integrity of the advice is lost. Fortunately, the FWS has backed away from that position. What needs to happen now is to take the time to do a full assessment complete with a comprehensive, independent peer review, adhering strictly to the agency’s science integrity policy. It is vital to include a range of experts in the review and address the scientific issues that they raise. Let’s not endanger scientific advice in the name of trying to declare victory for species recovery. When that happens we should all howl. The feds have dismissed three scientists from a wolf panel for, guess what, raising concerns about wolf delisting. 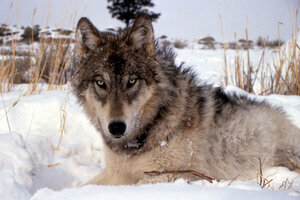 Just weeks after calling for the removal of gray wolves from the Endangered Species List, the U.S. Fish and Wildlife Service is now under fire for allegations that it intentionally excluded three prominent scientists—whose views diverged from the Service’s on delisting—from an upcoming peer review process. In June, Fish and Wildlife called to delist gray wolves across the Lower 48 states, leaving an exception for the struggling Mexican wolf in the Southwest. Agency director Dan Ashe told the media that the gray wolf had recovered to the point that it could thrive and even enlarge its territory without federal oversight. 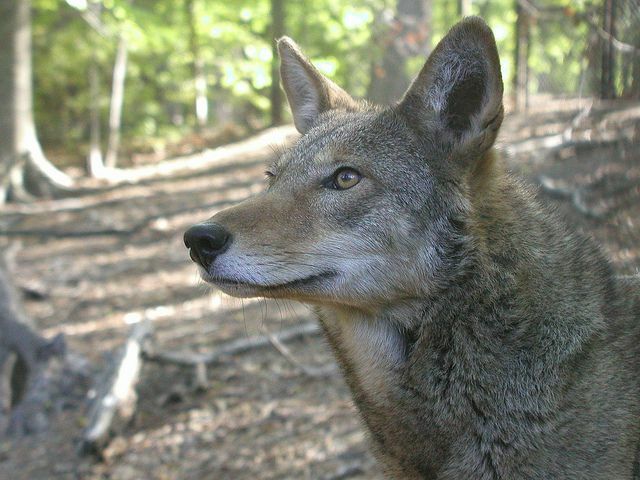 Several wolf advocates and some members of Congress disagreed. 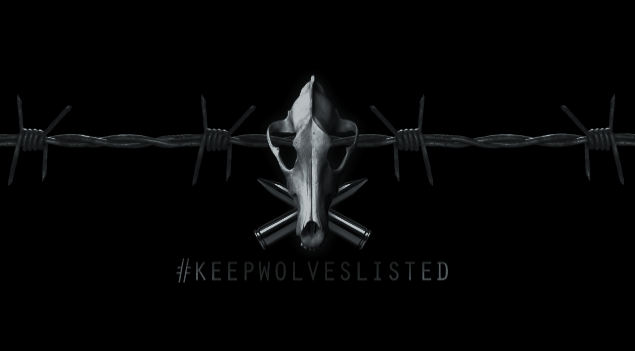 Once wolves are delisted, their management will fall to individual states. But in order for the delisting process to continue, federal law requires that a team of scientists evaluate the basis for the motion. As such, Fish and Wildlife hired a private contractor to select and oversee the peer review panel. According to Fish and Wildlife spokesman Gavin Shire, the agency isn’t supposed to know who the panelists are. But the Associated Press revealed that the contractor chosen to assemble the panel had provided a list of candidates that redacted their names but included their professional resumes. Armed with this information, the Service found three esteemed wolf biologists, who—and this is the key part—had expressed concern with the gray wolf delisting plan. They also, along with 16 other prominent scientists, had signed a letter expressing this concern. Shortly thereafter, Fish and Wildlife effectively “delisted” the three scientists from the panel. Vucetich and Wayne told the AP that they had received emails from the contractor saying they were being excluded from the review team because they had signed the letter. Kays said he had been “solicited as a possible panelist” but later told he wouldn’t be needed. Vucetich, a biologist and wolf specialist, told the AP it was “absolutely wrong” to disqualify an expert from a peer review team because of previous statements about a proposed policy. Any competent scientist will approach such an assignment with an open mind and be willing to alter his or her opinion if new information justifies it, he said. According to the AP, the contract with the outside firm has been put on hold and the peer review procedure will start anew. It’s unclear whether the delay will affect the timetable for making a final decision on removing wolf protections, which is expected by June 2014. 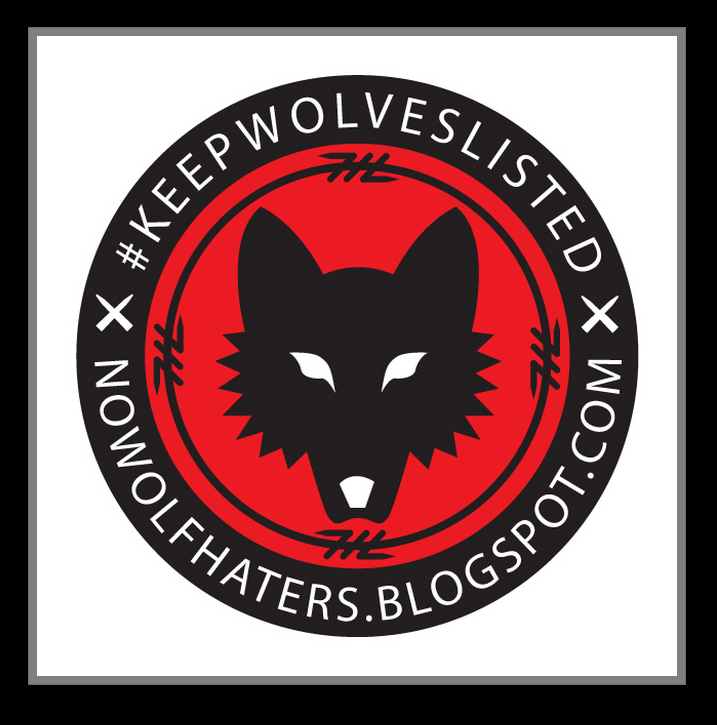 But Hartl says that by injecting itself so deeply into the peer reviewer selection process, the entire peer review of the wolf delisting is likely to be tainted. “If the Service continues to oversee the review, then no matter how it comes out, one side or the other will be suspicious about whether the peer reviewers were objective.” Hartl recommends that the Service take a different course and have a scientific society, such as the American Society of Mammalogists or the Society for Conservation Biology, take over the peer review process and conduct it without Service involvement.